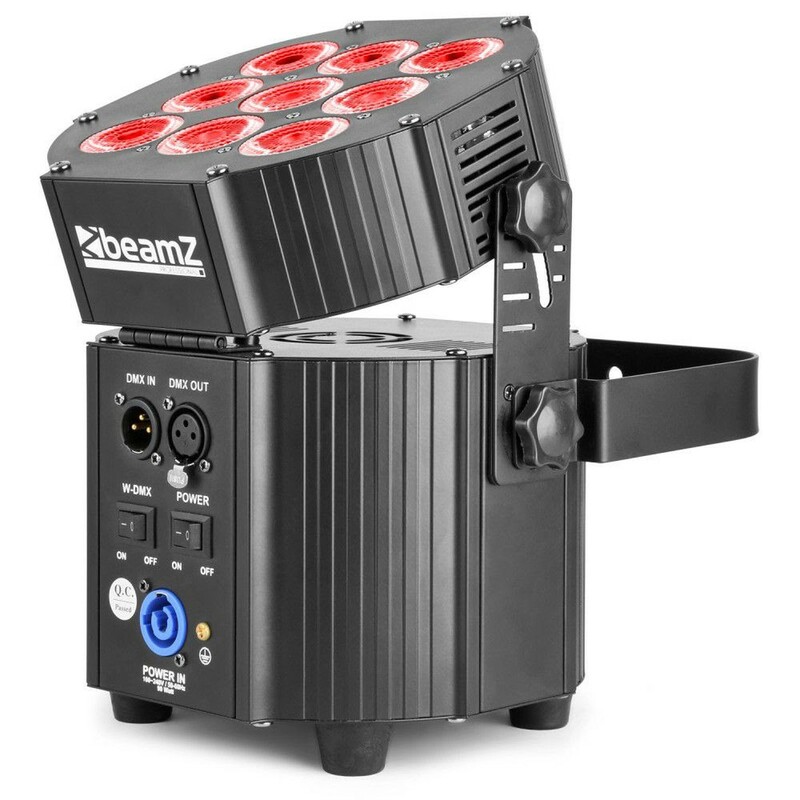 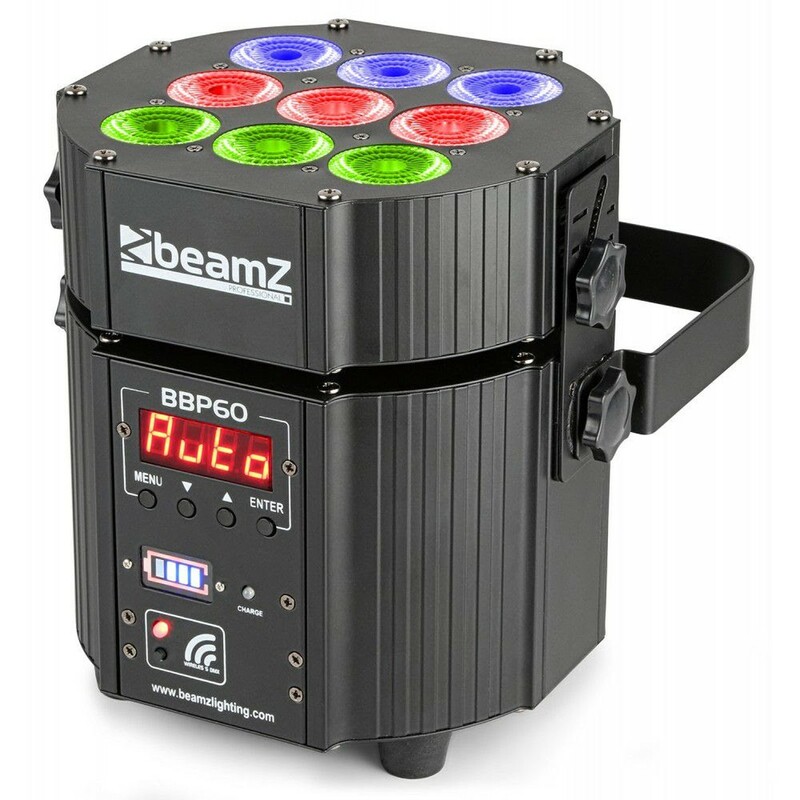 A complete kit of 6 pieces BBP60 uplighters in a flightcase with built-in charging station. 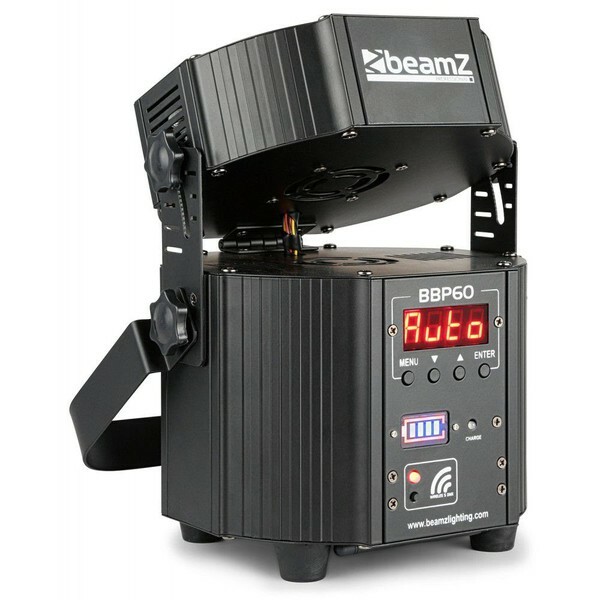 Each BBP60 has a 25Ah battery that will last over 10 hours on a single charging cycle. 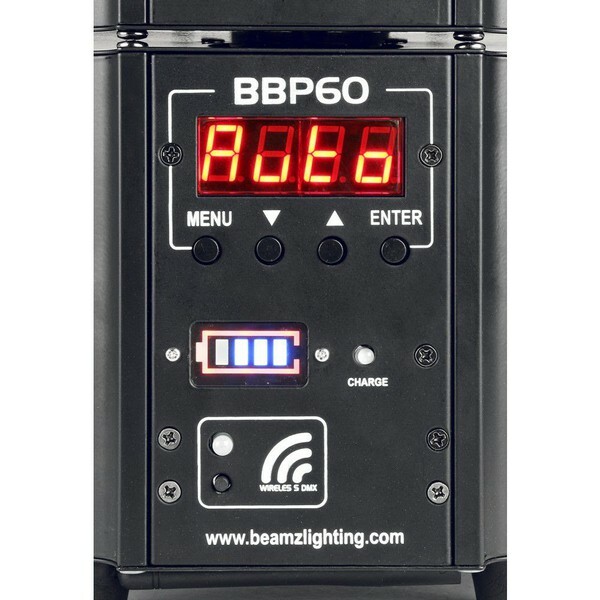 Once the gig is over, you can simply drop the fixtures back in the charging case and have them charged overnight. Each fixture has a special charging connector on the bottom which connects directly to the flightcase. 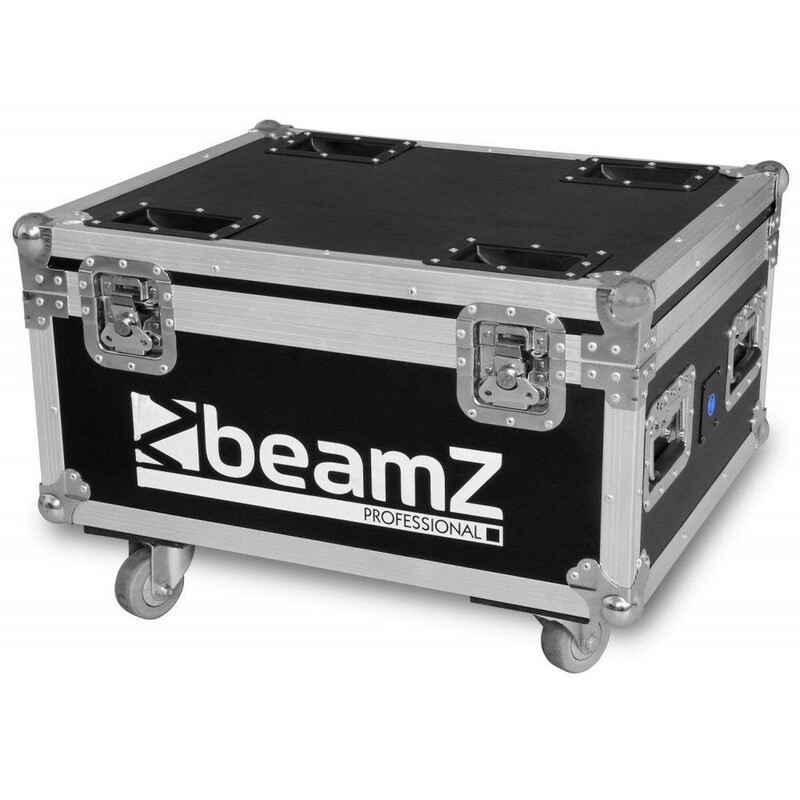 Simply connect the flightcase with a power outlet and you're done. 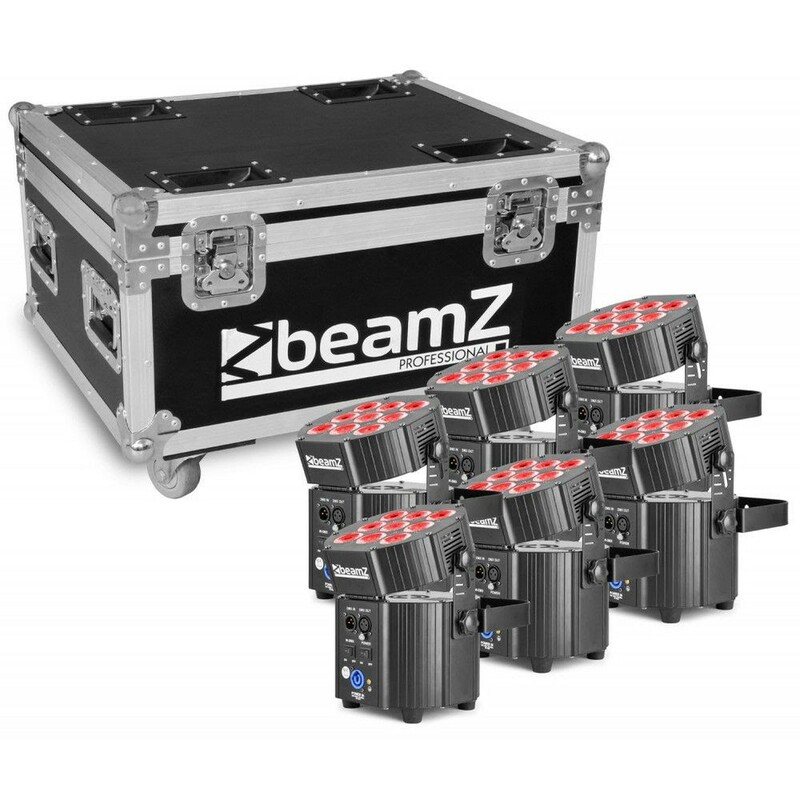 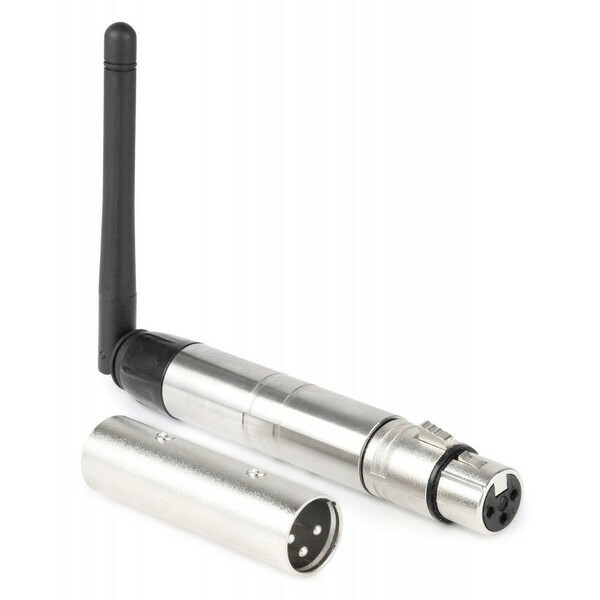 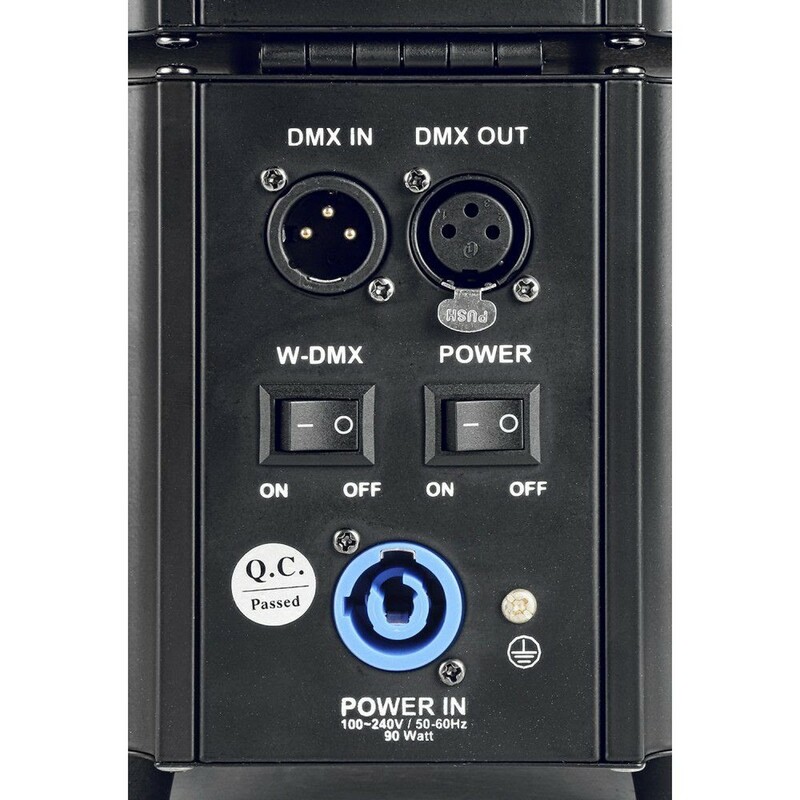 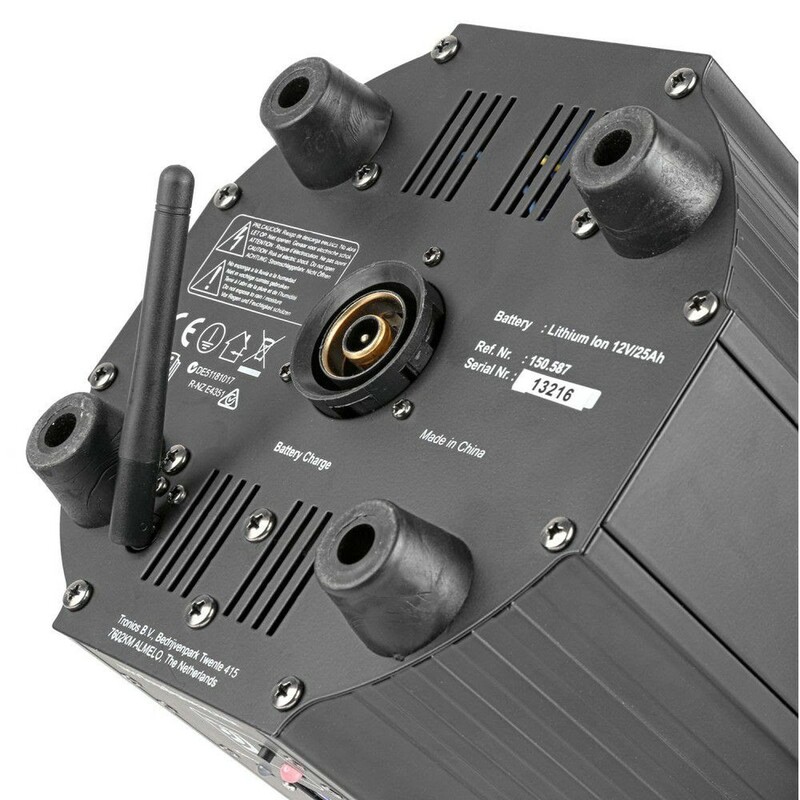 This set is delivered including a wireless-DMX transmitter to go fully wireless without the need of any extra products. 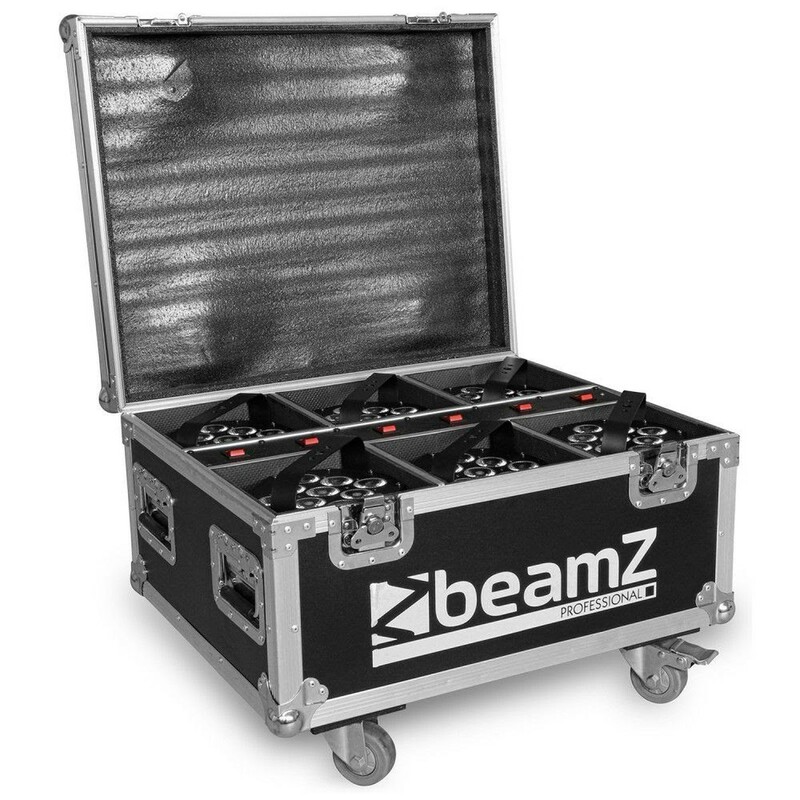 Each set is supplied as 6 uplighters in a built-to-fit flightcase.